On Nov 21st, Faurecia China in collaboration with Netspring team launched its 6th Green IT classroom in Weimin school in Zhong County, Chongqing, in the presence of Ms. Kathy Sun, Faurecia China Vice President of Human Resource. Faurecia Green IT Classroom Program started in 2013. Over the last 5 years, Faurecia China has built 6 Green IT Classrooms in Shanghai Jiading, Suzhou Wujiang, Hubei Macheng, Sichuan Chengdu, Jilin Liaoyuan and Chongqing Zhong County, provided 133 recycled computers for migrant and rural schools and benefited over 4300 underprivileged children all around China to achieve better education facilities. We are grateful to Faurecia China for its long-term support. On October 18th, Netspring team trained volunteers from Edwards to interact with children from Xuanqiao school in Shanghai city. On October 26th the volunteers gave IT classes where the children had the opportunity of designing a small animation on Powerpoint. This gave birth to creative animated stories such as a shark flying around the beach! On top of this, outdoor activities and games organized by the volunteers taught the children the importance of cooperation and competition with each other. Congratulations on AmCham Shanghai Suzhou Center’s extremely successful E-waste Drive organized on Friday September 22th in Suzhou. Netspring team were more than happy to receive these computers and accessories. 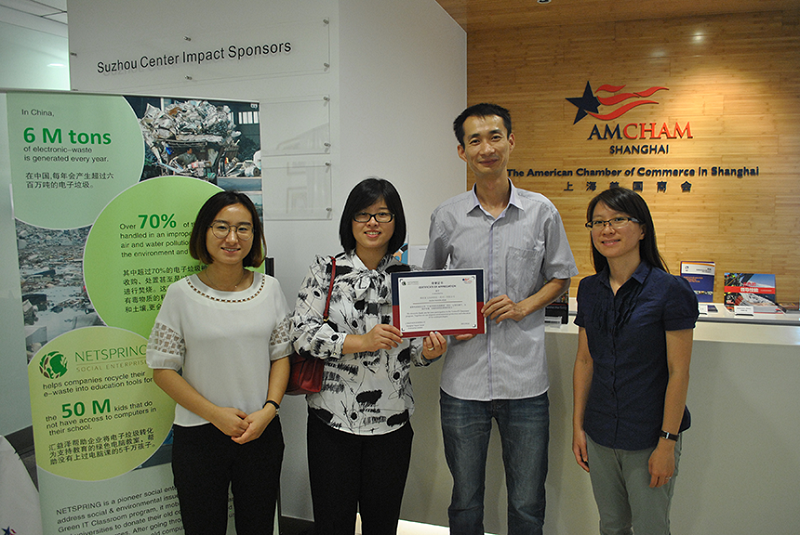 Our warmest thanks to AmCham Shanghai for supporting us for so many years, and to Amcham members who turned up and generously contributed your e-waste. Your contribution, big or small, will go a long way in lighting up the lives of children in suburban and rural areas. On September 15th, Netspring team held a special workshop with FTI consulting to promote e-waste environmental friendly management in China and discuss about Netspring Green IT Classrooms. 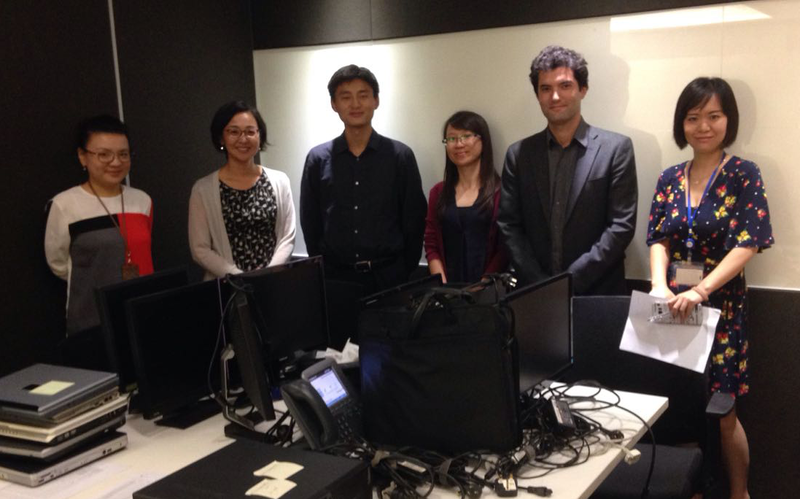 Thanks also for FTI contribution to support the digital inclusion of underprivileged children in China. After the successful implementation of Owens Corning Green IT Classroom in Hangzhou and Beijing the third Owens Corning Green IT Classroom was opened in Guangzhou together with Netspring team, on Friday September 15th! Thanks to the United Way Worldwide grant on behalf of the generosity of The Owens Corning Foundation. 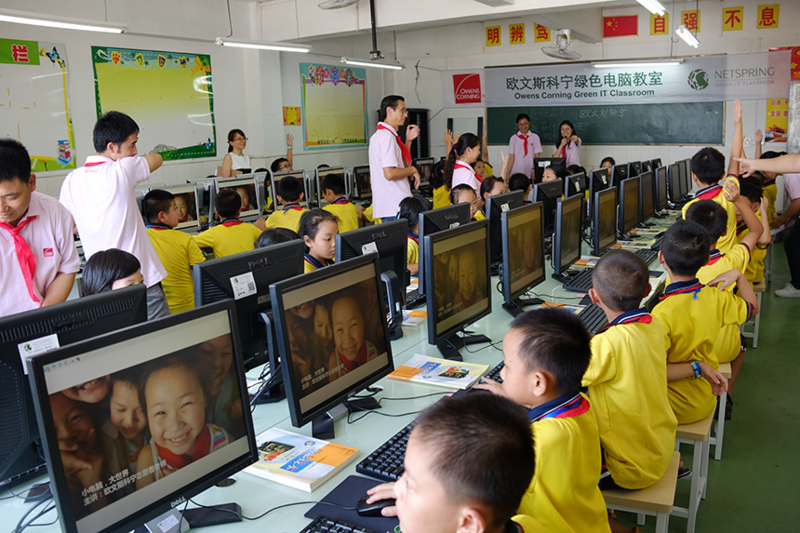 This new classroom expands the program’s reach in Southern China to create a digital learning environment that would enable more flexible and equitable access to education for the schools’ children. 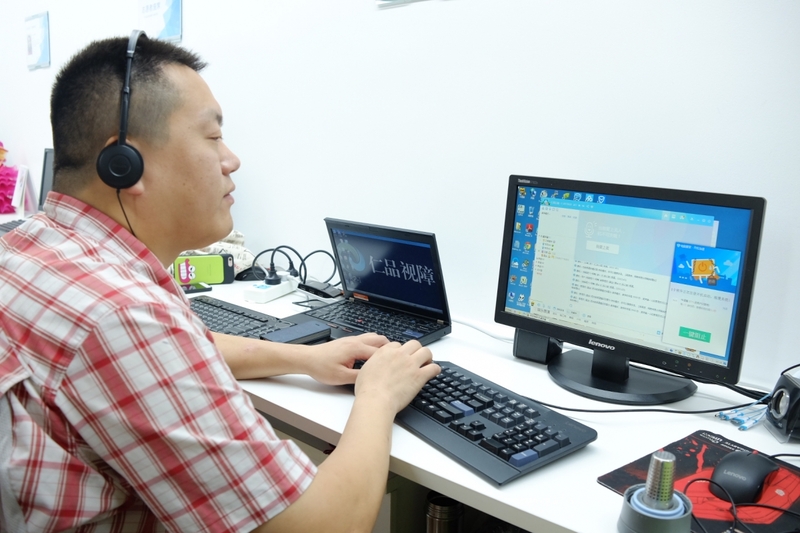 On September 11th, our first Special Needs Green IT Class was launched, fulfilling the needs and intense desire of the visually impaired to use computers. 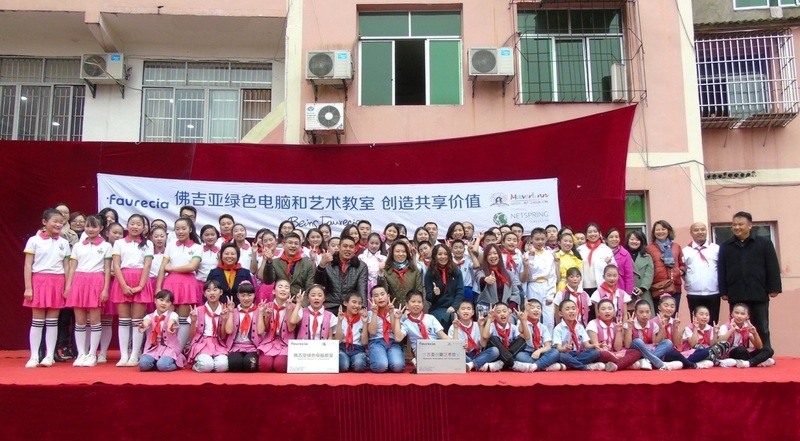 For the pilot class in Du’An Special Education School, Netspring team has partnered with the humanitarian organization Blessing Hands and specialized teachers from Ren-Ping Gu-Mei Community Service Centre for the Disabled (RP-I) Alex Wang, teacher Sun and teacher Cai. This program aims at enabling visually impaired children and teenagers to take an active role in the society. 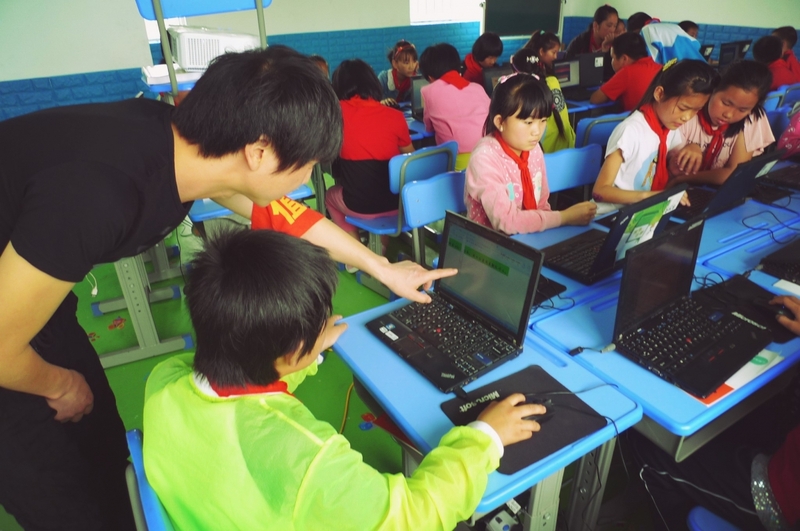 AICM (Association of International Chemical Manufacturers) animated a Scratch lesson in the Green IT Classroom of Qinghe School, Wuxi, on June 8th. Scratch is a programming software, developed by the MIT (Massachusetts Institute of Technology) Media Lab. Scratch is suitable for primary school students and aims at motivating them into design and logical thinking. 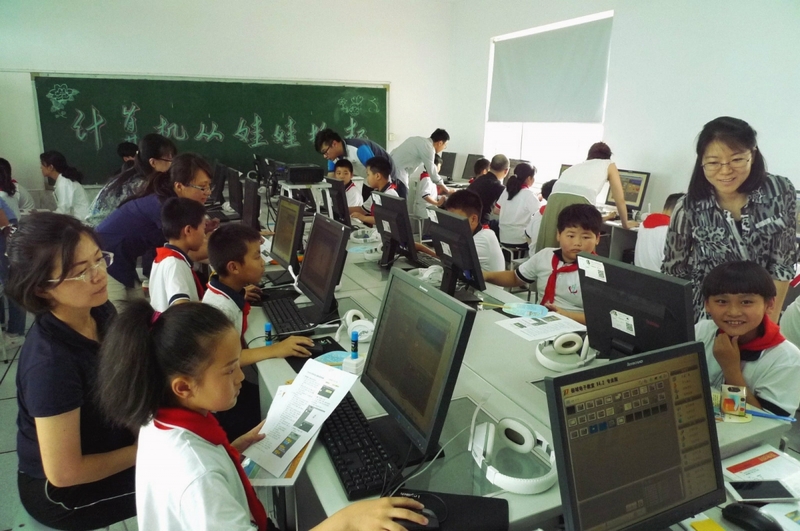 Qinghe School is among thefirst-tier which launched Netspring’s Scratch Learning Program. During the activity, students used the techniques learnt from their previous IT class, creating a short animation on environment protection. Students showed their talent in both digital design and programming. 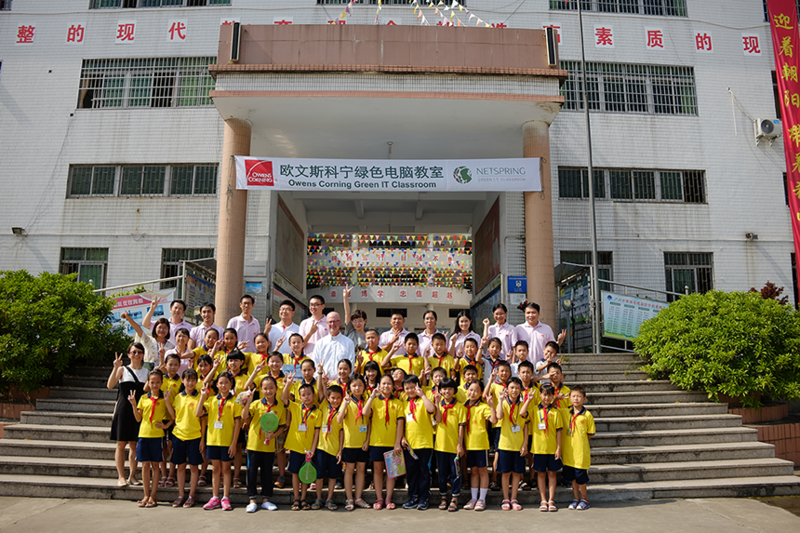 On May 23rd, 2017, Stora Enso held one special lecture and technical workshop on water protection in Chengqiao School, Jiashan. Volunteers used the Green IT Classroom to convey the idea of water protection to the young students, who could realize the importance of water resource management. Our young students were also guided to make a simple water filter with the support of Stora Enso’s volunteers. The Netspring team was delighted to join the celebration of Earth Day on Friday, April 21 at the Plaza at Shanghai Centre. Netspring was among the 19 eco-friendly exhibitors who gathered to honor the Earth Day and promote environmental friendly solutions, sustainable ideas and showcase their products. We made new friends and met other passionate people who are advocates of environmental awareness and protection. It was a great opportunity to demonstrate how Netspring Green IT-class integrates innovative and eco-conscious technologies and solutions. Thank you for AmCham Shanghai’s Environmental Committee to bring this wonderful event to us and create a platform to address key issues relating to environmental sustainability in China, share information, best practices and showcase our services and products.